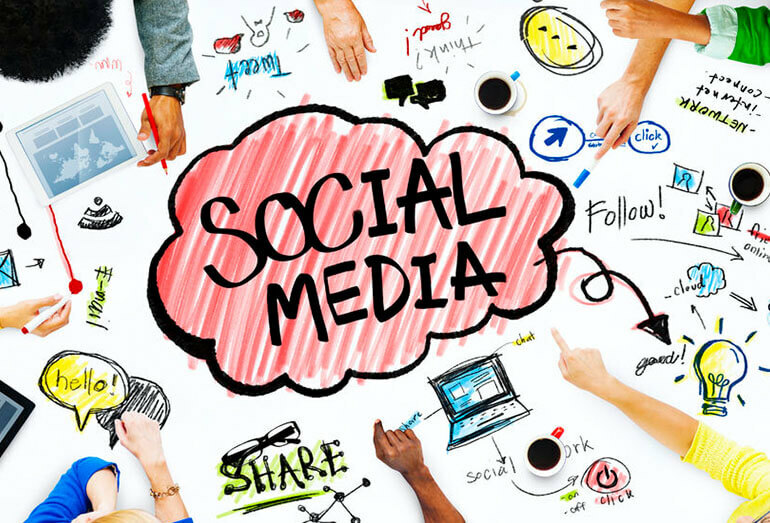 Social Media Marketing: The Right Tool For Your Business! HomeBlogSocial Media MarketingSocial Media Marketing: The Right Tool For Your Business! The largest invisible cobweb in the whole world is spreading through the world wide web aka www. Internet, an invisible chewing gum, has stuck on to us and is unlikely to ever leave us. So, in this highly entangled web, having one string of your own makes sure that you are not left behind in this exponentially expanding mesh. Hence, the introduction of social media marketing. Social media marketing, a very fast growing concept, is the use of social media platforms and website to promote a product or a service. It is the e-word for mouth in which the basic form of communication i.e. mouth is absent but the users deliver what they want to speak in a highly effective manner. Have a product, want to sell? Which is the best way to sell and promote your product? The answer is of course, the internet. As a buyer, the social market plays a very important role in advertising and glorifying a product. Moreover, with just right tactics, your sale can increase by a lot. In fact, the social media marketing can be announced as the best way to get in touch with the users and discuss their problems or views. Any person sitting in any other continent can easily be contacted via this amazing network. Blogs, content communities, petition signing etc, everything is going to the cloud. It’s the easiest and the most convenient way of communication. If I have a thought and I want to speak out loud, then which other better way than the social media where I can be noticed almost immediately. Currently, there are 3.5 billion internet users in the world. So, you, as an individual or a product are always in the limelight once you get entangled in this cobweb. Companies now use these platforms with a lot of precision to create a buzz for their products. For example, when the Samsung Galaxy S8 was launched recently, the Samsung created this aura of thrill months prior to the launch , so that, the tech savvy people are excited for the amazing new gen mobile phone. This example does not mean that social media marketing is limited to mobile phones. This is applicable for every product ranging from an all new BMW car to a Colgate toothpaste. As a company you can use social media platforms like Facebook, YouTube and Twitter to highlight what they want in the light; create a Facebook page for your company and then launch products, you will get instant recognition , make a YouTube page and upload videos advertising the product, you will be an instant hit and then go tweet, tweet, tweet. The concept is great and works wonders! But then, with wrong strategies, it is highly possible that your product gets lost amongst the hoard of different products and what you expected to be an amazing launch turns out to be a drowning kill joy. That is the reason you need to hire the social media marketing experts to apply the apt strategy required for your kind of business, to garner the results that you want. It isn’t in everyone’s right to know and understand the appropriate techniques and make them work in your favor, hence, the agencies that provide effective SMM services. Hire one and make you business grow in leaps and bounds. Social media marketing is tremendously strong tool. With its help you can make your business dreams come true. With the right game plan, there is no way that this platform fails you.